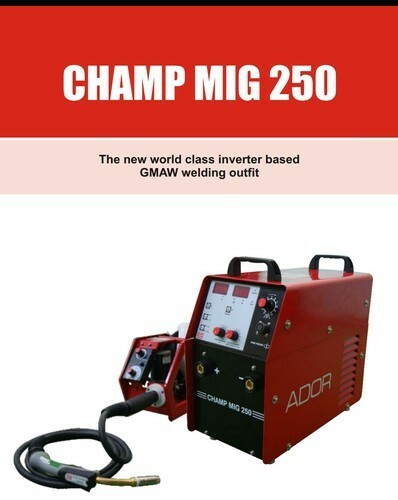 ADOR MIG 250 WELDING MACHINE.Suitable for 0.80mm wire welding . Established in the year 2014, at Coimbatore, (Tamil Nadu, India), we “AKR WELDING SOLUTIONS” are engaged inwholesale trading the finest quality Welding Machine, Welding Equipments, etc. Under the supervision of our mentor “Narendra M. ( Proprietor )”, we have been able to meet every need of our clients. In addition to this, we provide also provide installation and maintenance services to our clients.